"Enjoy this classic game of checkers on Android"
Installation requirements: A minimum of 3,0M of free memory space and Android 2.2 or higher. Rating: The TOP 1 Most popular games in Checkers Game category. 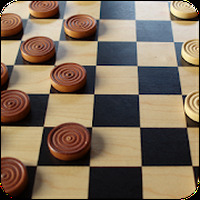 Classic checkers game for your Android phone or tablet. Why not enjoy a classic game of checkers on your Android? Use all of your skills to win the Carrom!